Clarify and speak your insights in powerful, timely and shareable ways. Go digital! 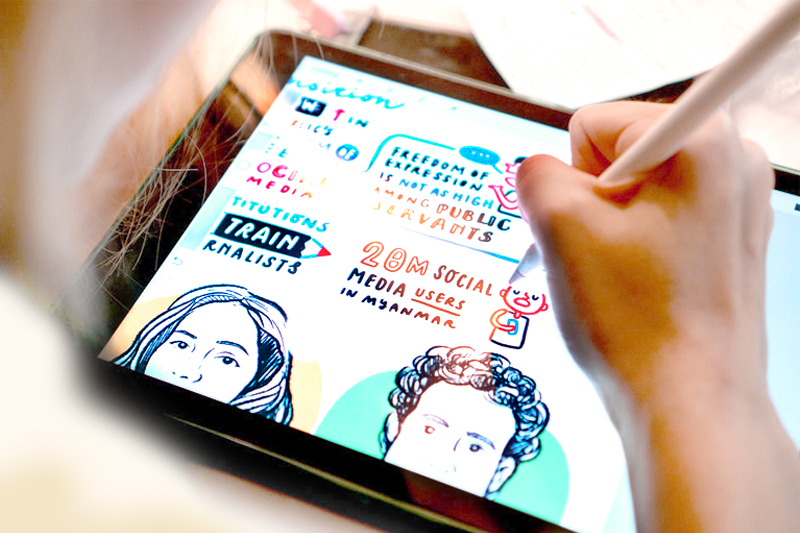 Stream our illustrations live to project real-time content. Short and sweet: Your message, our process.